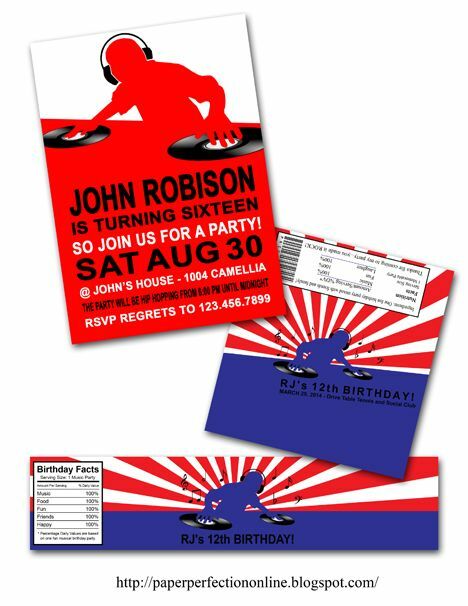 Here is a fun music party invitation and matching printables for a rocking good time! Contact Paper Perfection at jtanddolly@yahoo.com for pricing and details. These can be made in any color combination.